Welcome to Cosmetics Wizard 2016! Cosmetics Wizard helps you calculate your cosmetics' production date or expiration date from the batch code found on the product package. The brands that can be calculated are Anna Sui, Aveda, Biotherm, BODY SHOP, Burt's bees, Chanel, Christian Dior, Clarins, Clinique, Decleor, Elizabeth Arden, Estee lauder, Givenchy, Guerlain, H2O+, Helena Rubinstein, Kiehl's , Lancome, L'occitane, L'Oreal, MAC, Neutrogena , Origins, Sisley, Sofina, Vichy, and YSL. Don't be sad if you cannot find a reasonable date for your cosmetics. If you buy your product from a trustable store, you don't need to doubt. 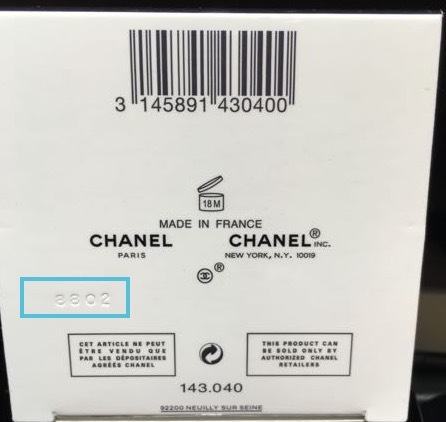 Check the color and smell if you think that your product has expired. Strange smell, separation of oil, change of color are signs of expiration. Enjoy your time with Cosmetics Wizard and have a beautiful day! A code which tells you prodcution secret. Batch code is a code which is stamped or printed on the package of your cosmetics product. It includes information of production time and factory. As explained by "The Body Shop" company - "This code enables full traceability to either bulk manufacture or date of production." Every company has their own format of batch code. It is hard to remember every format yourself. That's why I developed this cosmetics prodution date calculator to help you. Select a brand of your cosmetics, and write your batch code. Then the Cosmetics Wizard calculator can decode the batch code for you. If you find a 13-digits code like 3 145891 43040 together with bar, it is not a batch code. It is a normal barcode which is to define a kind of product. There is no production date information included in the barcode.